ADMx/ADMl Templates are stored in %systemroot%\PolicyDefinitions folder. The language File has to be stored in the corresponding language folder. 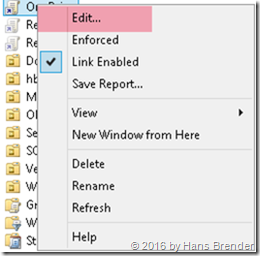 If you later open the Group policy editor, they will be opened and checked. 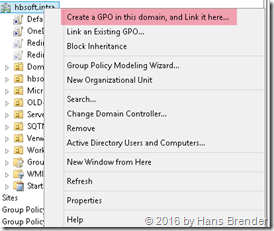 You should create a new GPO and give it a name like “OneDrive”. Now you may edit the entries. you find all these descriptions and more here. Often I hear the question : Is it possible, to automate install of the Next Generation Sync Client? The answer is yes and I will describe that in another blog post. 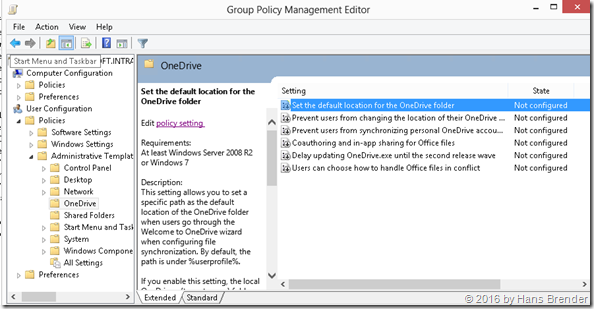 Group Policy is the ideal tool to provide different user groups have different preferences to OneDrive and OneDrive for Business with the Next Generation Sync Client.